Is made of heavy-duty sculpted steel? Features a black finish that complements any room? Has the convenience of a double hook design? 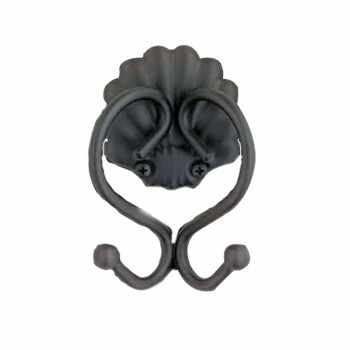 Robe Hooks: Sculpted steel double robe hook made in the USA. In black to complement your bath fixtures and decor.